Cycling Ulster are pleased to announce that Gary Lavery has been appointed to the position of Membership Development Officer for the province by Cycling Ireland. 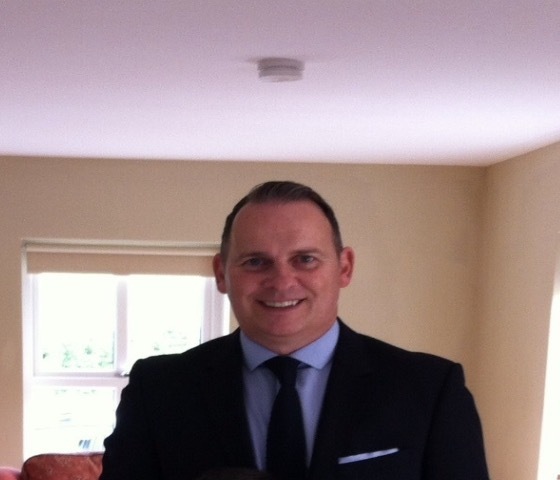 Gary has taken up this full time position that is funded by Sport NI in recent weeks and is based in an office at Loughgall Country Park in County Armagh. The appointment is a further example of the growth of Cycling Ulster and our objectives to strengthen our resources to provide better services to our members. The position is aimed at working with the grassroots of the sport to increase participation through the Cycling Ireland coaching and development pathway. Gary will lead the efforts to introduce more Cycling Ireland programmes to clubs in the province in conjunction with the Cycling Ireland Coach Education Team based at the Kelly Roche House in Dublin. Gary has a strong background in sports development and has worked with other governing bodies in the province. He is currently arranging to introduce himself to clubs around the province. We also plan for Gary to do a short presentation about his position and what he aims to achieve to strengthen the sport at grassroots level at the Cycling Ulster AGM. Cycling Ulster would like to congratulate Gary on his appointment and wish him all the best in his role. See below a short introduction from Gary. “As the new Membership Development Officer for Cycling Ireland within the Ulster region, funded by Sport Northern Ireland’s Sporting Clubs Investment Programme I look forward to working with all the Cycling Clubs in Ulster and to form an integral part of the sport development team within Cycling Ireland and Cycling Ulster. As Membership Development Officer for Cycling Ireland I will be responsible for delivering and assessing the development plan for Cycling Ulster club membership, club development and workforce development and to support all clubs to increase participation in Cycling in Ulster. I will also support the facilitation and coordination of opportunities through all clubs, events, coaching and volunteering activities, across all ages and abilities, for the benefit of Cycling in Ulster. I look forward to establishing strong working relationships with all Cycling clubs, regional representatives, local authorities and other partners to support the implementation of the regional development plan for Cycling Ulster and Cycling Ireland over the next four years.